+ATK: This will significantly improve Hector’s performance, regardless of build. Its value only increases with higher investment builds. +DEF: While not quite as good as +ATK, this is the next best thing. It turns Hector into a stronger physical wall and carries the additional benefit of increasing Ignis/Bonfire damage. RES: Despite Hector’s fairly low base Resistance, taking a -RES bane is not recommended as he is still capable of handling some mages. -SPD: Thanks to armor-exclusive skills like Bold Fighter as well as the increasingly higher levels of Speed on newer units, Hector can safely take a -SPD bane with little performance loss. That being said, Hector can make decent use of a +SPD boon if he is in a team with access to strong buffs like Hone Armor and Goad Armor, as he can potentially get his Speed boosted enough to avoid a good number of doubles. -HP: This is not ideal due to impacting Hector’s bulk and reducing his effectiveness at running Panic Ploy, but is better than all other banes aside from -SPD if that is unavailable. The introduction of the armor-exclusive skill Bold Fighter turned all armor units into monsters; Hector is particularly strong with it. Both his original Armads and the upgraded Berserk Armads can work well with this setup, though with fairly significant differences. The choice of Special is entirely dependent on weapon choice: choose Ignis if running Berserk Armads and Bonfire if running regular Armads. It’s important to maintain a 3 cooldown on Hector’s Special so that he can always activate it when attacking an enemy that can counter with Bold Fighter, or when doubled with Quick Riposte (or regular Armads). Berserk Armads has a significant damage advantage over regular Armads, but there is a good reason to consider running regular Armads with this setup: it frees up Hector’s Sacred Seal to run something other than Quick Riposte. Hector with Armads is unique among armors in that he can maintain the ability to double on both phases while also running Armored Boots; this makes him the only armored unit that can be easily run outside of armor teams and with little support. Alternatively, he can opt to run Distant Def or Close Def to increase his tankiness against the respective enemies. One of the biggest consequences of the Special Fighter skill is that now any armor can mimic one of the greatest strengths of the Steady Breath/Distant Counter combo, which is to be able to maintain a 1-2 range for counterattacks combined with an accelerated Special charge rate. Hector is exceptional at this; while he is surpassed by his seasonal variant (Hector (LA)) in terms of utilizing Berserk Armads, he can also utilize his base, unrefined Armads; demonstrating once again that he is immune to powercreep, Hector’s regular Armads is fantastic with Special Fighter due to the built-in Quick Riposte 2 effect allowing him to utilize something else for his Sacred Seal. That being said, it’s hard to get away from the raw effectiveness of Berserk Armads. Due to the ever-increasing offensive potential of newer units, it’s surprisingly easy for Hector to drop into the 75% HP threshold to activate the Wrath effect of Berserk Armads, resulting in a big damage boost. Furthermore, the -1 Special cooldown allows him to repeatedly activate Bonfire on every counterattack (or Ignis once with the Quickened Pulse Seal), while he’ll need to utilize Moonbow to mimic the same effect (or Bonfire with the Quickened Pulse Seal), with the option of simply utilizing Ignis and waiting for his second attack to activate it. Without Special Fighter, Hector’s options for this build diminish quite a bit. Guard is more readily available than Special Fighter, but it is a significant drop in performance in comparison due to a stricter HP threshold as well as lacking the accelerated Special charge rate. If using Guard, then Hector can run Ignis with Berserk Armads or Bonfire with Armads to activate his Special on his second counterattack. Moonbow is a decent alternative option with Berserk Armads to allow Hector to activate his Special on every counterattack. Wary Fighter is also a decent alternative B skill, though it can be a bit risky since there are numerous ways for enemies to bypass it (such as Bold Fighter). If using Wary Fighter, then Moonbow is Hector’s best bet with Berserk Armads. If wanting to combine Wary Fighter with regular Armads, then there is a potential unique synergy that is detailed below for the Omnibreaker build. For Seals, Quick Riposte is a must if utilizing Berserk Armads to ensure that Hector can make follow-up attacks. Alternatively, Quickened Pulse is a good option to give Hector a big burst of damage by accelerating his first Special activation. If utilizing Special Fighter with regular Armads, then Distant Def or Close Def are also decent options to increase Hector’s overall bulk. This build focuses entirely on the fact that Hector has Wrath built into Berserk Armads, and that it stacks with the B skill version as well. In other words, once Hector reaches the 75% HP threshold, he will be getting -2 Special cooldown at the start of each turn, as well as a whopping +20 damage to his Specials. This build’s reliance on reaching the 75% HP threshold means that a -HP bane is optimal. This is an identical build to the one also recommended on Hector (LA)’s page; the only difference is that Hector (LA) has better stats than regular Hector, but both can perform spectacularly with this setup. Thanks to the -1 Special cooldown on Berserk Armads, Hector can reduce Bonfire's cooldown to 2. With the Quickened Pulse Seal, it will be have 1 cooldown at the start of a map, meaning that Hector only needs to get hit once to activate his Special. When within the 75% HP threshold, he will have Bonfire active at the start of each turn. An alternative is replacing Distant Counter with either Steady Breath or Warding Breath, and running Ignis instead. With the Quickened Pulse Seal, Ignis will have a 2 cooldown and will activate after Hector is hit once thanks to Steady Breath or Warding Breath. This setup loses the ability to have the Special charged at the start of every turn (it will be every other turn instead), but the trade-off is that Ignis with +20 damage will KO basically everything in the game. One thing completely unique to Hector is his ability to run multiple instances of Quick Riposte without taking up his B slot thanks to Armads and the Quick Riposte Seal. This allows him to run Wary Fighter; this particular interaction means that Hector is guaranteed to double on Enemy Phase while his opponent cannot, with the exception of opponents that have skills that allow them to double regardless such as Axebreaker or Bold Fighter. In these situations, the opponent can double if they outspeed Hector, but Hector will still be able to double unless they prevent him from doing so (such as with Axebreaker). One of the downsides of this setup is that while Hector minimizes incoming damage by preventing enemies from doubling, he does have difficulty charging his Special: Bonfire will not activate until Hector’s second combat. If one wants Hector to activate his Special every combat for the damage boost, then Moonbow is a good option. Apparently the only character almost entirely immune to powercreep, Hector has been one of the strongest units in the game since the very beginning. It says a lot about his strength that the only unit capable of objectively overshadowing him is an alternative version of himself that just happens to have more stats with a slightly more optimized spread (Hector (LA)), though this is a bit debatable due to regular Armads still having some distinct applications. The reasoning behind Hector’s dominance is simple: he has access to a powerful weapon in Armads and can upgrade to an arguably even stronger one, Berserk Armads. His status as an armor unit means that he has superior stats, access to powerful skills like Bold Fighter, and access to powerful team buffs like Ward Armor. Of course, armor units have their own downsides, like horrible mobility (alleviated by Armor March) and weakness to anti-armor weapons. Overall, Hector is a serious powerhouse of a unit that can fit into any team, particularly given the unique capabilities he has if sticking to regular Armads. Either weapon is incredibly powerful in their own right, but Hector can have access to both. Not only does this give him access to a large variety of builds, but every one of those builds is exceptionally powerful. In particular, Berserk Armads can boost his damage output to such a point that Hector can easily go against units with color advantage and still win. 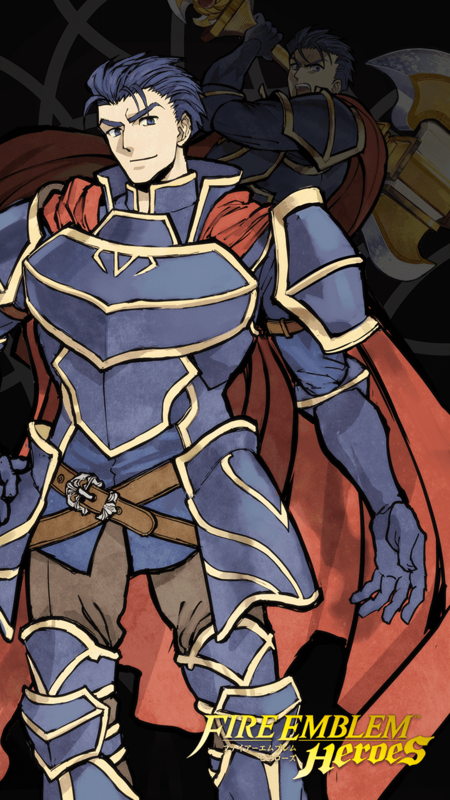 As an armor unit, Hector enjoys access to the armor-exclusive skills Bold Fighter, Vengeful Fighter, and armor buffs (like Ward Armor), as well as a big boost to his BST. While Hector’s stats aren’t quite as impressive as his seasonal variant, he still has strong stats that make him a monster in combat in his own right. Not only does Berserk Armads already offer great build versatility due to working in nearly any setup, but Hector also has access to his regular Armads. This means that Hector has a massive number of potential builds that he can pick and choose from. Hector's low Speed is actually quite useful: getting doubled allows him to charge Specials faster, as well as allowing him to have more stats allocated to his most important ones (namely HP, Attack, and Defense in this case). As an armor unit, he has access to skills that allow him to easily bypass his low Speed without losing any damage potential (Bold Fighter and Vengeful Fighter). Hector can also uniquely bypass Speed entirely with his Omnibreaker setup. Despite its strengths, being an armor unit has its disadvantages as well. Namely, poor mobility - Hector can only move one space per turn. This can be mitigated via Armor March, but even that carries the opportunity cost of taking the skill, as well as forcing positioning requirements. As an armor unit, Hector shares a weakness to anti-armor weapons such as Armorslayer. Technically he could easily mitigate this with Svalinn Shield, but it severely limits his potential to not be able to run another A skill like Distant Counter. Despite having high magical bulk (71 neutral), Hector is weak against magic damage; his low Speed makes him extremely liable to getting doubled, which exacerbates the damage taken. It also makes him vulnerable to the Res-based Ploy skills. While it is a strength, Hector's low Speed is also a weakness. Although getting doubled is useful for charging Specials, it does result in Hector taking more damage as well as charging enemy Specials. This can result in him getting killed, particularly if the enemy has a very potent Special (like Ayra or Zelgius). Thankfully, Hector can potentially eliminate Speed as a factor almost entirely with his Omnibreaker setup. Armor units: Hector benefits greatly from armored allies like Zelgius, Lyn (LA), Halloween Jakob, and Eliwood (LA), particularly if they can run Armor March to help make up for armored units’ poor mobility. Buffers: Aside from armor buffs, Hector enjoys support from allies that can grant buffs like Delthea, Marth, and Sanaki. Debuffers: Debilitating Hector’s enemies enhances his performance similarly to directly buffing him, making allies like Arvis, Saias, Lute, and Soren good teammates. Guidance Fliers: One way to alleviate armored movement is to have a flier ally with access to Guidance like Tana, Elincia, and New Year Azura. Strong blues: Hector can struggle against particularly strong red units, making allies like Reinhardt, Nowi, and Ephraim good choices to keep him safe. Armor blues: Blue armor allies can perform this role while simultaneously providing buffs for Hector, making units like Effie, Fallen Hardin, Winter Robin, and Gwendolyn particularly great choices. Anti-mage units: Although Hector can handle some mages, it is much safer to have an ally like Felicia and Halloween Sakura to eliminate the risk entirely. Anti-dragon units: Another consequence of Hector’s low Resistance is that he is vulnerable to dragons, making allies like Alm, Tiki (Adult), and Julia good choices. Strong reds: Hector can easily be overpowered by units with color advantage like Zelgius, Black Knight, Legendary Ike, and Winter Tharja. Red magic damage: Hector is particularly vulnerable to red units who can deal magic damage due to his poor Resistance, making units like Lilina, Eirika (SM), and Tiki (Adult) strong choices. Preventing counters: One of the safest ways to handle Hector is to prevent him from counterattacking entirely. Units with Firesweep weapons like Bridal Cordelia, New Year Camilla, and Legendary Ryoma are all good candidates. Brave Lyn can also fulfill this role with either a Firesweep Bow or her unique skill Sacae’s Blessing. Anti-armor weapons: Units wielding anti-armor weapons like Caeda or Tobin can make short work of Hector. Hector will always be great. Omnibreaker is the usual kit for general use, but Vantage/DD pops up every now and then. Despite less effectiveness, Hone/Goad Armor + Windsweep shenanigans looking more likely now that Grails exist. The only hector I ever pulled so might as well sick with it, he is ment to be a mage bait combined with res tactic. Vantage and Armads quick riposte just work so well together so I've kept his basic weapon. Ignis was chosen specifically so he can kill with it before they can attack with his vantage. When at 50% hp or below this is when this insane build starts kicking in. With the power of built in Wrath 3 for Berserk Armads with Brash Assault and Desperation being active as well. It makes for a devastating player phase unit. The whole goal is to reach 50% hp or lower with the help of allies boosting Hectors speed up good enough and taking a hard hit from units that normally orko, but not ohko (Which is a good majority of units in Hectors case) Anyway once at 50%, Wrath 3 activates and that puts Bonfire at a cooldown of 1. Combined with Desperation + Brash Assault + Deathblow 4, he should always A. Double a unit that can counter attack, B. Do 16 extra damage with Deathblow 4, and C. unleash the power of Bonfire (unless they have Guard or Special Fighter) + Wrath 3 + Deathblow 4. He never dies! That is a complete lie btw do not use this set unless you want to meme a buff Libra. 1 cooldown Noontime+Wary Fighter means that every counter attack he does he'll gain some HP back. If he hits Wrath range, his damage output will be 10 more and then he heals a whopping ~3 more HP! More importantly Noontime gets -1 cooldown at the start of his turn, so it will fire off on initiation, which might help. ArmadsUnit makes a guaranteed follow-up attack when attacked at HP ≥ 80%. BucklerReduces damage inflicted by attacks from adjacent foes by 30%. PaviseReduces damage inflicted by attacks from adjacent foes by 50%. Distant CounterEnables unit to counterattack regardless of distance to attacker. Goad ArmorGrants armored allies within 2 spaces Spd/Atk+4 during combat. Requires Spur Atk 2 or Spur Spd 2.